Yvette Bethel is a Fulbright scholar and author with more than 20 years of professional experience at a Fortune 500 company and 9 years as an independent consultant at Organizational Soul. 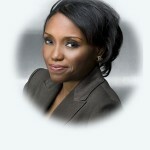 She is an advanced Emotional Intelligence Practitioner within the Six Seconds network. Six Seconds is a global, non-profit organization with the sole purpose of introducing emotional intelligence to the world. Using emotional intelligence coaching, EQ assessments, emotional intelligence training and other tools,Yvette helps organizations to transform their cultures by helping them to build productive work relationships. 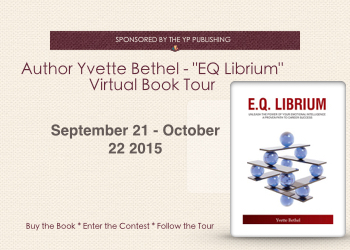 Bethel is a member of the Special Olympics fundraising committee, freelance article writer and the author of E.Q. Librium: Unleash the Power of Your Emotional Intelligence; A Proven Path to Career Success, the award winning activity book, Getting to E.Q. Librium and the forthcoming book Interconnectivity, Flow and Balance: A Paradigm of Organizational Engagement. Bethel was a member of and volunteer with We the People. As a liaison between we the People and Six Seconds nonprofit organizations,she was one of the architects of a pilot that introduced emotional intelligence to public schools. The objective was to equip students with the tools they need to develop self-regulation skills in emotionally charged situations. Listen to Yvette Bethel’s live internet radio interview on January Jones Radio Show. Yvette: “You can contact me on my website http://www.orgsoul.com/ .